Children love to watch movies about superheroes and dream of imitating their courage, bravery, their sense of adventure and their determination for good to always triumph over evil. While Batman, Spider-Man, and Ironman are fun to watch in movies, we all know that they are not real people. I want to tell you a story about a real live Super Woman. The movie about her life would be rated R for violence and we would caution parents that parts of her story are unsuitable for small children. The irony is that she herself was a small child when the story unfolded. Her earliest memories are of the Vietnam War and the Americans dropping B-52 bombs on her village. She remembers when she was nine years old, the roof of her home fell in on her bed. Thankfully she was not injured but this was the first of many wartime struggles this little girl faced. She recounts the story of the 1975 Cambodian New Year celebration that was going on in her village when the Khmer Rouge soldiers came in with guns. At the time this little girl had no idea that Pol Pot had mounted an army and overthrown the Cambodian leaders and that he was systematically going through the nation killing all educated people, all teachers, and carrying out a genocide among his own people. We now know that over 3 million Cambodians were killed during Pol Pots reign of terror. But in 1975 this 11 year old girl saw her father come to her house for only the third time in her short life to tell her mother to get the children and get out of the village where they lived. The little girl grabbed her schoolbooks for the journey because she had an exam coming up shortly. Her father led them to an underground pathway because the roads had been closed. He led his second family 13 miles to safety and that was the last time she would ever see her father. As a teacher he would have been one of the first targets of Pol Pot’s evil plan. 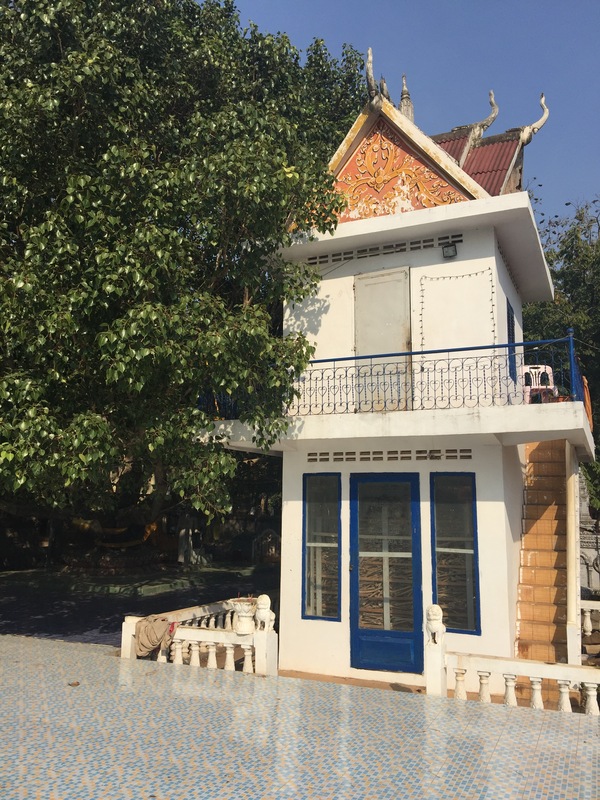 The little girl and her family were eventually captured by the Khmer Rouge and forced to walk 32 miles from Phnom Penh to a Buddhist temple that was set up as a refugee holding place. They lived day to day trading what they had for bits of dried fish. Four cups of rice per day was allotted for groups of 22 people. Cambodians were dying of starvation daily, their bodies in heaps everywhere you looked. Each day, groups of people were called to go back to Phnom Penh, but slowly the realization hit that those people were being called to their execution. The Killing Fields were overflowing with bodies gunned down in senseless murders. Even now, forty years later the bones of the people killed in the fields are still coming up from the ground and collected by villagers to put in a memorial (like the one in the below photo) as a silent remembrance of this horrific time in their country’s history. If you look closely you can see the piles and piles of bones stacked inside this memorial. For three long years this little super hero lived, separated from her family and working daily in rice fields with more than 70 other small children. They awoke at 4am to walk 2 hours to a field, worked in the hot sun all day and then walked back at 7pm. They were not allowed to cry. Many children died in the fields and by 1979 there were only 13 children left in the original group. By her 15th birthday, weighing under 50 pounds, this resiliant teen, her mother and one sister were freed by the Vietamese soldiers and allowed to walk 125 miles back to Phnom Penh. The trip took the family 3 months to complete and when they finally arrived home, their home was gone and everyone they knew was dead. The shell-shocked family began to rebuild their lives. The little girl was now 19 and her father’s other family had survived and had jobs as police. They offered her a job where she worked each day and took sleeping pills to sleep anytime she was not at work. Life was completely hopeless, until a Dutch missionary came and befriended the family. The missionary built a friendship with the teen and taught her that in Christ there is real hope. Over the next few years the teen began to believe that God not only saw her, but that He loved her and she accepted the hope He offered. 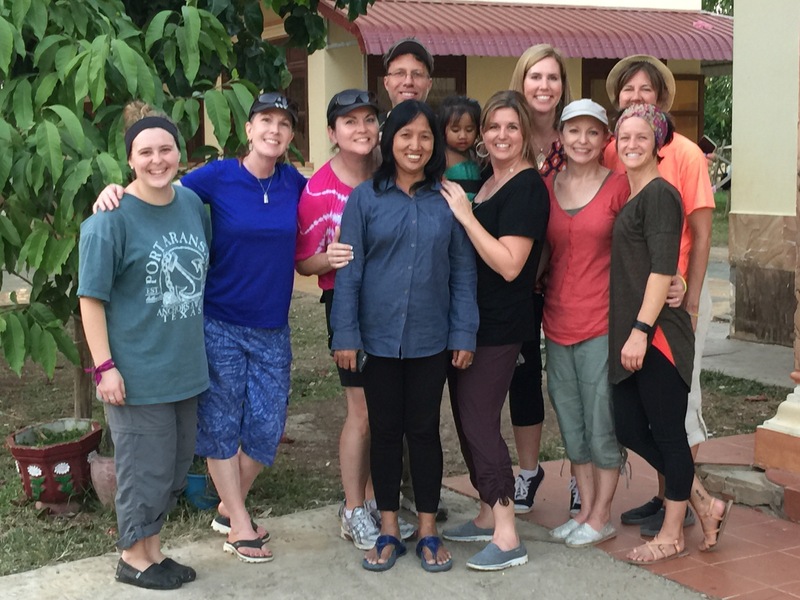 Today, this Super Woman known as Noit Hyde, along with her missionary husband, has rescued countless orphans and started 2 orphanages, built the Hope Center and personally shared Christ with thousands and thousands of Cambodians. She is a real life super hero and evidence that we serve a God who is a master of restoration. He is the author of stories beyond what we can imagine. He can do “abundantly more that all we can ask or even imagine.” He is just looking for a willing heart. If Noit can allow God to use her, what excuse can we possibly give for not allowing Him to use us? What story will you allow God to write with your life? If I could talk to the writer of Hebrews, I would humbly suggest an addition to Chapter 11 known as the Hall of Faith. I think Noit would be a great addition to the list of the heroes of our faith. Hebrews 13:7 reminds us to “remember our leaders, those who spoke to you the word of God. Consider the outcome of their way of life and imitate their faith.” To the very best of my ability I will imitate Noit and serve the poor, minister to the hurting and boldly teach the gospel of Christ. This entry was posted in February 2016 Trip, January 2017 Trip. Bookmark the permalink. Excellent! She is certainly one of the heroes of the faith. Thanks so much for sharing this narrative. What a magnificent God we serve! I have known Noit & Steve for over 15 years & every word written about this amazing woman of God is true. She & Steve are two of my greatest living heroes! May God’s richest blessings be on & around them, their family & all they do where God has called them to serve. Noit is indeed one of my heroes in the faith. Thanks for telling her story. There is much we should learn from her. And, thanks for leading our team well. Appreciate you, KP.